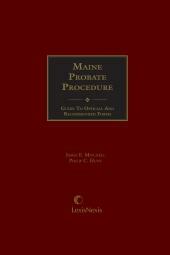 Consisting of two separate volumes, Maine Probate Forms, and Maine Probate Procedure, this comprehensive series provides continually updated information and is essential for any Maine practitioner involved in probate law cases. 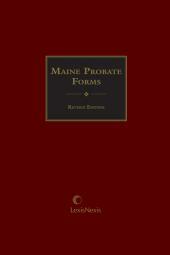 Purchase Maine Probate Series and save over buying the forms and procedure titles separately.  Philip C. Hunt, a graduate of the Harvard Law School (J.D., 1975), is a member of the Cumberland County and the Main State Bar Associations and of the American College of Trusts and Estates Counsel. 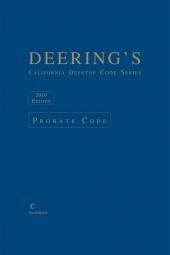 Mr. Hunt practices in the areas of Trusts and Estates Law, Probate Law and Tax Law with the Portland law firm of Perkins, Thompson, Hinckley & Keddy.